What determines a state’s golfiness? Lots of factors. Having more than a quarter of your residents who regularly peg it helps your cause (take a bow, Minnesota). Hosting 18 national championships puts you in good stead (nicely done, New York). Spawning Donald Ross, A.W. Tillinghast and Tom Doak does not go unnoticed (props, Pennsylvania). And staging a PGA Tour event that attracts half a million fans? You da man, Arizona. But how does California stack up against North Carolina? Is North Dakota golfier than South Dakota? And which state is the golfiest of them all? You deserve answers, America, and we’ve delivered them. 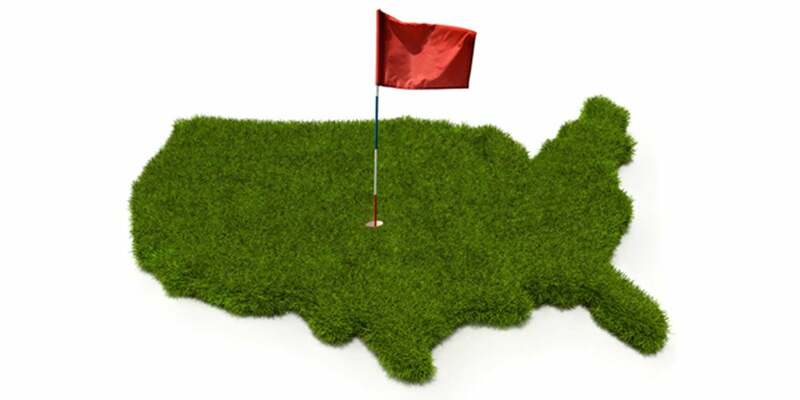 Pairing National Golf Foundation data with some subjective analysis from yours truly (I've played golf in all 50 states and at more than 1,500 U.S. courses), we calculated a golfiness rating for every state in the union. Did we undervalue your state? Did we rank another state too high? Stand up and be heard! Hit us up on Facebook or Twitter, or plead your case in the comments section below. 1. AVIDNESS OF GOLFERS. Using data supplied by the National Golf Foundation (NGF), we factored in Household Participation Rate (the percentage of a state’s population that plays golf) and Rounds Per Golfer (the frequency of rounds among regular players). Combining those two metrics, each state emerged with a point value of 1 to 50. 2. QUANTITY AND QUALITY OF COURSES. We gave equal emphasis to two statistics: (1) Total number of courses, and (2) Number of GOLF Magazine Top 100 courses (private and public). 3. LEGACY/VIBE. This category accounts for the caliber of a state’s native players and the prestige of its tournaments, plus its overall golf “vibe”—admittedly somewhat subjective metrics, but important nonetheless. 4. TRAVELIN’ JOE’S RATING. The final judgment was left up to me and my golf experiences in all 50 states. When I holed out at Hot Springs (Ark.) Country Club’s Park course in October 2011, I completed my quest to play golf in every state. Having now crisscrossed the country countless times, I’ve developed my own opinions of each state’s golfiness. Five-time PGA Tour winner Danny Edwards was born in Ketchikan and President Eisenhower once played golf in the Land of the Midnight Sun. Still, its last-place numbers in Avidness, Courses and Legacy establish Alaska as the weakest state for golfers. On my summer visit to Alaska, I teed it up with moose and caribou on astroturf greens. I also pegged it at midnight, at America’s northernmost course: North Star Golf Club (above), in Fairbanks. There’s no other state in the union where you can do that, at least not without glow-in-the-dark balls. A puny Courses rating—second from last—hurts the First State’s overall ranking, but its golf cupboard is hardly bare. The Rehoboth Beach/Delaware shore area just north of Maryland’s Ocean City has some wonderful tracks, including Baywood Greens, with its dazzling flower arrangements, and Bayside, a rugged Jack Nicklaus design. 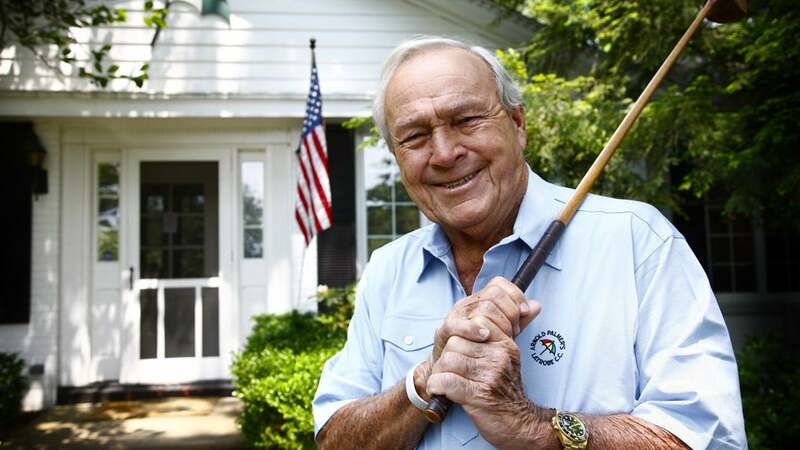 Wilmington’s Ed “Porky” Oliver was the Blue Hen State’s finest golfer, with eight PGA Tour wins in the 1940s and ’50s, plus runner-up finishes at the Masters, U.S. Open and PGA Championship. From 1994-2004, a women’s major, the LPGA Championship, was contested in Delaware. The Granite State’s amateur championship dates to 1901, but overall this is a relatively un-golfy state. Covered bridges and fall foliage are among the highlights I’ve enjoyed on courses here, and Donald Ross designed or redesigned 14 New Hampshire tracks in all, so there’s definitely golf to be explored. Oddest bit of trivia? South African Bobby Locke, a four-time British Open winner, captured the New Hampshire Open in 1959. A bottom five rating in Avidness keeps the Pelican State from a higher overall ranking. (“Sportsman’s Paradise” apparently doesn’t apply to golf.) Still, New Orleans has hosted the PGA Tour since the 1930s and native son David Toms continues to wave the “Geaux LSU” flag wherever he travels. Tommy Bolt and Hal Sutton are Shreveport natives, and the Louisiana-bred Hebert brothers, Jay and Lionel, both won the PGA Championship. Surprisingly strong results in Avidness, including the nation’s third-highest Rounds Per Golfer rating couldn’t offset Wyoming's dearth of courses (58), its limited legacy and my own experiences there. Still, the Jackson Hole area offers spectacular private and public golf backdropped by the Grand Tetons. Keegan Bradley, whose father Mark is head professional at Jackson Hole Golf & Tennis Club, won the Wyoming Amateur in 2005 and represented the state in national competitions for the next several years. The Volunteer State has hosted the PGA Tour in Memphis since 1958, where winners include Jack Nicklaus, Lee Trevino and Gary Player, and it has produced stars such as Dr. Cary Middlecoff, Lou Graham and Loren Roberts. And let’s not forget its most famous stick of all: Justin Timberlake, who bought a Memphis course, Mirimichi, in 2009. (He has since sold it.) Tiger Woods won the 1996 NCAA Championship at the Pete Dye-designed Honors Course, in suburban Chattanooga, despite a final-round 80. Any state that produced a talent like Nancy Lopez gets golfiness points right off the bat. She won the New Mexico Women’s Amateur at age 12, then tagged on two more. Alas, its Household Participation Percentage is low, and the folks who do play don’t play often. They should. The Land of Enchantment delights with two regions of superb high-altitude courses in Albuquerque and Santa Fe, along with some of the nation’s best bargain tracks. Any discussion of Vermont’s golfiness has to start with Keegan Bradley, the 2011 PGA champion who grew up in Woodstock, enjoying a life as a ski racer before he fully committed to golf. Woodstock is one of many completely charming towns in the Green Mountain State that has wonderful resort golf amid the birches, maples and rushing brooks. Manchester is another, with the historic Equinox offering classic New England golf since the 1920s. Francis Ouimet won the 1914 U.S. Amateur at Ekwanok, a club where Robert Todd Lincoln, Abraham Lincoln’s only son, once served as president. Arkansas was once a regular stop on the PGA Tour, when the Arlington Hotel Open in Hot Springs produced winners such as Julius Boros, Gene Littler and Doug Sanders. The Natural State also can claim a direct connection to Augusta National. The late Jack Stephens, an Arkansian, was Augusta’s chairman for seven years, and son Warren is a prominent member, who created the Augusta-like Alotian Club in Little Rock, the state’s top-ranked course. Two former Arkansas football coaches, Frank Broyles and Lou Holtz, are also Augusta members. Participation numbers sink the Magnolia State into our bottom 10. Locals, you don’t know what you’re missing. From the hardwoods and azaleas at Dancing Rabbit to the Gulf Coast courses such as Fallen Oak—all Fazio, all fun—this is a worthy destination. Mississippi also hosts the PGA Tour’s Sanderson Farms Championship, now played at the Country Club of Jackson. Luke Donald, Bill Haas and Chris Kirk are among those who have raised the trophy. The crab cake capital’s unimpressive golfiness rating is hard to comprehend. The state sports wonderful Ocean City, with its plethora of fine courses, including the Links at Lighthouse Sound, and has serious history at such prestigious haunts as Baltimore Country Club (1899 U.S. Open) and Congressional (1964, 1997 and 2011 U.S. Opens). But its Avidness ranking is a woeful second from last. Folks must be too busy crabbing. This tiny state lacks courses, which hurts its overall rating. But the Ocean State still shines. Newport Country Club played host to the first U.S. Amateur and first U.S. Open, both in 1895. One hundred years later, Tiger Woods won the Amateur there and, in 2006, Annika Sorenstam triumphed at the U.S. Women’s Open. Not a bad champions’ roll. Architect Donald Ross made Little Compton his summer residence. Native sons Brad Faxon and Billy Andrade carry on the tradition. The Beehive State feels like it deserves a higher ranking. After all, the state and its colleges, notably Brigham Young University, have given us Johnny Miller, Mike Weir, Mike Reid and Bobby Clampett, among many others. Plus, it’s got terrific clusters of courses in St. George, the red rock country, and in and around Salt Lake City, with the imposing Rockies in the background. But the state's low course total (115) keeps it from a higher ranking. South Dakota is tops in the land in the Avidness category (it’s a wonder they don’t add a golfer to Mt. Rushmore). 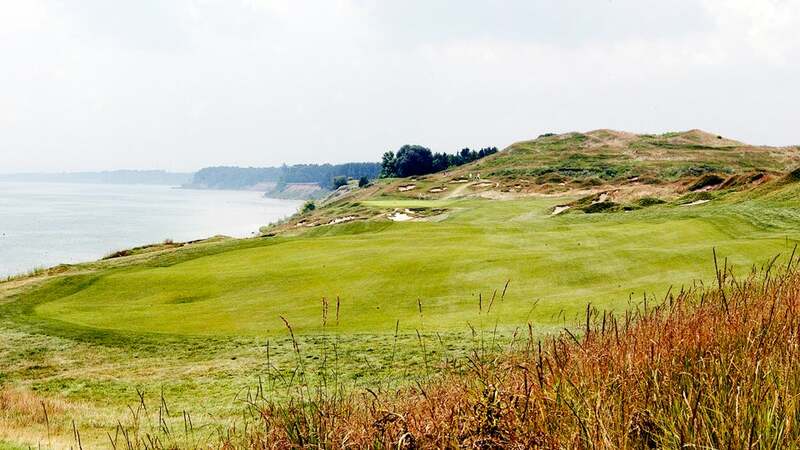 Sutton Bay is the state’s best course, a Graham Marsh design that recently replaced its Top 100 predecessor, which succumbed to a series of landslides. Brothers Tom and Curt Byrum were born and raised in Onida. Each won a PGA Tour event, oddly enough in the same year, 1989. My only experience with paying via an honor box and putting on sand greens came on a South Dakota nine-holer, Wall Community Golf Course. From the superb collection of state park courses to the five-star luxury of the Greenbrier, the Mountain State offers something for all comers. The Greenbrier itself has no peer in the U.S. The resort dates to the 1700s and the golf is similarly venerable. Sam Snead was pro here in two stints that totaled nearly 50 years. Today, the Greenbrier’s Old White TPC hosts a PGA Tour event and among its summer residents are Tom Watson, Nick Faldo and Bubba Watson. Astonishingly, the Peace Garden State finished second in the U.S. in the Avidness category. There aren’t many residents in North Dakota, but those who reside there seemingly all play golf — and a lot of it. Native son Jim Engh designed one of the state’s best public courses, Hawktree, in Bismark, and coming in 2015 is a completely new layout for Minot Country Club. The Pine Tree State stands tall in the Legacy category, thanks to two presidents who summer there: George H.W. Bush (41) and his son, W. (43). They frequently teed it up at semi-private Cape Arundel, a classic Walter Travis design in Kennebunkport. Another president, 350-pound William Howard Taft, once took 27 strokes on Kebo Valley’s 17th hole in Bar Harbor. Samoset in Rockport serves up scenic seaside golf, but mostly, Maine appeals to leaf-peepers. Sugarloaf and Sunday River sport the best fall colors in the U.S. Solid numbers in Household Participation Percentage and amazing natural beauty fortify the Gem State’s golfiness. But it’s one of golf’s greatest gimmicks that steals the show — the par-3 14th at the Coeur d’Alene Resort, a 1991 Scott Miller design. The hole features a movable, floating island green, accessible only by boat. Home to the Robert Trent Jones Golf Trail, the first and still best golf trail in the nation, Alabama brought country club quality to the masses, in terms of conditioning, aesthetics and challenge, at venues in all four corners of the state. Its premier private club, Shoal Creek, in Birmingham, has played host to two PGA Championships and currently hosts the Regions Tradition, a Champions tour major. Jerry Pate (Alabama), Jason Dufner (Auburn) and Graeme McDowell (UA-Birmingham) are among the state’s collegians who have won majors. The name of Big Sky Country’s top-ranked public course, The Wilderness Club, a Brian Curley/Nick Faldo design, sums up the state’s frontier-like golf attractions perfectly. The state merges exclusive, big-money retreats such as Discovery Land’s Iron Horse and Charles Schwab’s Stock Farm — both Tom Fazio designs — with handsome, modestly priced public courses in the Kalispell/Whitefish region. A lofty Household Participation Percentage and phenomenal scenery place Montana in a surprisingly high spot. In yet another border war rivalry between the Jayhawk State and the Show-Me State (see No. 29), Kansas loses out by a single point. Tom Watson has lived in Kansas for years. Long-bomber Gary Woodland is a proud Kansas University Jayhawk, and past Kansas State stars include Robert Streb and Jim Colbert, who co-designed the rugged campus golf course called Colbert Hills. The state’s top tournament track is linksy Prairie Dunes, site of the 2002 U.S. Women’s Open, the 2006 U.S. Senior Open and the 2014 Men’s NCAA Championship. Tom Watson is the Show-Me State’s most famous golf export. He won four Missouri Amateur titles from 1968-71. Close behind him is Payne Stewart, who has a course named for him in the Branson area, one of the state’s great destinations. Lake of the Ozarks is another golf-rich vacation spot. One of Robert Trent Jones’ most heroic par-3s is the over-the-water shot at the Lodge of Four Seasons’ Cove course. Gary Player and Nick Price both won majors at Bellerive in suburban St. Louis. And few remember that the 1971 Ryder Cup took place at Old Warson, in the St. Louis area, when Jack Nicklaus and Arnold Palmer were the two top point-getters for the victorious U.S. squad. The Seattle-Tacoma region basked in the spotlight earlier this year, when public-access, county-owned Chambers Bay welcomed the U.S. Open (it earned mixed reviews from the pros, but the Puget Sound views were stunning). Fred Couples grew up playing Seattle’s public tracks and Ryan Moore is another card-carrying member of the Evergreen State. Seattle’s other championship layout is Sahalee, where Vijay Singh won the 1998 PGA. In the drier eastern portion of the state are Wine Valley GC, in Walla Walla; Palouse Ridge, the home course for Washington State University; and hilly Indian Canyon, in Spokane, where avid golfer/actor Craig T. Nelson spent his youth. Only an underwhelming Rounds Per Golfer score keeps the Old Dominion from a higher rung, because it checks every other golfiness box. Superior resorts and public courses dot the landscape, from Williamsburg’s tournament tracks—notably Kingsmill’s River course—to Virginia Beach to the venerable Homestead in the Allegheny, where Sam Snead learned the game. Two of golf’s steeliest competitors, Lanny Wadkins and Curtis Strange, are Virginians. A major championship stronghold since Babe Zaharias won the 1946 U.S. Women’s Amateur at Southern Hills, in Tulsa, the Sooner State remains a big-time venue. Three U.S. Opens and four PGAs have been decided at Southern Hills; Oak Tree held the 1988 PGA and the 2014 U.S. Senior Open; and Tulsa Country Club played host to the 2014 NCAA Women’s Championship. It’s best known for its college studs, including Oklahoma State players Rickie Fowler, Hunter Mahan and Scott Verplank, among many others. Golf in the Silver State is a relatively recent phenomenon, but as Las Vegas boomed, so did affection for a game in which betting is a regular part of the fun. The PGA Tour has called Las Vegas home since the Tournament of Champions in 1953, played for years at the old Desert Inn, where the Wynn course now resides. Vegas also is home to one of golf’s “It” courses: high-roller hangout Shadow Creek. A host of Tour players call Vegas home, as does the LPGA’s Natalie Gulbis and super-teacher Butch Harmon, who plies his trade at Rio Secco. For a celebrity fix, fans flock to Edgewood Tahoe’s summer bash in Reno. Its No. 2 ranking in the “Avidness” category proves Iowans love their golf. Further evidence was the record attendance set when the U.S. Senior Open landed at Des Moines Golf & Country Club in 1999. More Iowa magic comes from native son Zach Johnson, the 2007 Masters champion who was born in Iowa City, raised in Cedar Rapids and schooled at Drake, in Des Moines. Before Johnson, Jack Fleck was the golfing pride of the Hawkeye State. The Davenport native upset Ben Hogan to win the 1955 U.S. Open. Basketball always comes first in Kentucky, but there’s a sneaky-strong golfiness about the Blue Grass State. Most of its best courses, public and private, stay under the radar, but mighty Valhalla pops up every few years. Designed by Jack Nicklaus and owned by the PGA, the course has proven itself as one of the great drama-producing layouts in major championship golf. Kenny Perry, J.B. Holmes, Russ Cochran and Steve Flesch all wave the Kentucky blue flag in their Tour travels. The biggest, most raucous golf tournament crowds east of the Mississippi show up every year at Hartford’s TPC River Highlands for the Travelers Championship. Arnold Palmer, Lee Trevino, Phil Mickelson and Bubba Watson have all won there, and locals have fond memories of the 12-year run (through 1984) when Sammy Davis Jr. lent his name to the event. Julius Boros, of Fairfield, is the Nutmeg State’s greatest player, with two U.S. Open titles and a PGA. Connecticut also is home to the country’s best college course, the C.B. Macdonald/Seth Raynor/Charles Banks gem at Yale University. Stories have circulated in equal measure over the past 25 years about John Daly, the 9th alternate who improbably won the 1991 PGA at Crooked Stick, in suburban Indianapolis, and the hometown course architect, Pete Dye. The Indy area boasts some terrific, value-oriented public courses, including Dye’s redesign of Brickyard Crossing, which features four holes inside the oval at the Brickyard, site of the Indianapolis 500. Down south, French Lick Resort features courses by Dye and Donald Ross, plus casino gambling. The Cornhusker State was once best known in golf circles for Omaha’s Johnny Goodman, who stunned Bobby Jones at the 1929 U.S. Amateur at Pebble Beach, then won the 1933 U.S. Open. Today the state soars with its top-4 “Avidness” ranking, the superb Coore-Crenshaw collaboration at Sand Hills, and its impressive hosting of the 2013 U.S. Senior Open, a lively sellout at Omaha Country Club. Pop quiz. Name the only golfer to win Player of the Year honors on the PGA Tour, Champions tour and Web.com tour. Stumped? It's Tom Lehman, who is Minnesota born and bred and a graduate of the University of Minnesota. The North Star State exudes golfiness in so many other ways, from the nation’s second highest Household Participation Percentage, to its hosting of the U.S. Open, PGA and Ryder Cup at Hazeltine National, to Bobby Jones winning the U.S. Open at Interlachen in his Grand Slam year of 1930. Superb, affordable public courses statewide boost Minnesota’s ranking even higher. Few states are so drenched in golf lore, which offsets the modest Participation and Rounds Per Golfer numbers it chalked up. Tales of Hogan and Nelson, Crenshaw and Kite, Spieth and Chamblee are as rich and colorful as you’ll find. The tournament pedigree is rock solid, from the Byron Nelson, in Dallas, to the Colonial, in Fort Worth, to old-timey events in Houston and San Antonio. Texas is the only southern state to host the U.S. Open, Ryder Cup and PGA. A top-15 performer in Household Participation Percentage, the Bay State also boasts a proud golf history. Local boy Francis Ouimet put golf on the map in America when he stunned British stars Harry Vardon and Ted Ray to win the 1913 U.S. Open at The Country Club, in the Boston suburb of Brookline. Almost as famous is the U.S. Ryder Cup rally in 1999, when Justin Leonard dropped a 45-foot bomb on the 17th. Fans pack TPC Boston for the Deutsche Bank Championship, a FedEx Cup playoff event, and tourists flock to Cape Cod for lobstah, chowdah and a banquet of quality of public courses. Bandon Dunes! Bandon Dunes! Bandon Dunes! The golfing wonderland features four courses in the U.S. Top 15 You Can Play, including Pacific Dunes, the top-ranked public-access course in the country. Need we say more? We will. Bend offers one of the nation’s best summer climates. Portland sports affordable public golf and a private course, Pumpkin Ridge’s Witch Hollow, where members walk with pull carts, and where Nike’s Phil Knight “discovered” Tiger Woods during Tiger’s stirring 1996 U.S. Amateur win. The greatest amateur of all time, Bobby Jones, grew up playing East Lake, in Atlanta. After he won the Grand Slam in 1930, he built Augusta National and started the Masters, giving the Peach State a golfing pedigree for the ages. Somewhat low participation rates keep Georgia from the top 10, but resort retreats such as coastal Sea Island and lake-edged Reynolds Plantation draw golfers from near and far. Ranking in the top 4 in Rounds Per Golfer, the Aloha State appeals as strongly to locals as it does to tourists, who travel great distances to tee off in paradise. Swaying palms, black lava rough, ocean breezes and waves from the Pacific in view and in play on dozens of courses make for idyllic golfiness. Adding to the mix is a big-time tournament history, from 50 years of PGA Tour events at Waialae, in Honolulu, to Champions tour stops on Maui and the Big Island, to the unforgettable Tiger Woods-Ernie Els duel at Kapalua. Serious golf is spoken here, a cold weather stronghold that somehow ranks in the top 10 for total number of courses. Home to the 2015 PGA Championship, at Kohler’s Whistling Straits, and the 2017 U.S. Open at Erin Hills—both public courses—Wisconsin also has rich pockets of resort golf in other parts of the state. When Mike Keiser completes his intended Sand Valley project near the Wisconsin Dells, the Cheese State will merit top 10 consideration. You could confine the Keystone State’s golf attributes solely to the historic events that have unfolded at Oakmont and Merion and it would still be one of our golfiest states. Western PA gave us Arnold Palmer. Eastern PA is a Hall of Fame of golf course design, with Top 100s from Donald Ross, A.W. Tillinghast, William Flynn, Tom Doak, Gil Hanse and local lads George and Tom Fazio. Earning his start here was George Thomas Jr., who designed Whitemarsh Valley, before relocating to California and crafting L.A.C.C., Riviera and Bel-Air. One of our most consistent performers in all four ranking categories, this heart-of-the-Rockies state wows with the novelty of high-altitude golf in Vail and other mountain towns in the west, along with astonishingly beautiful backdrops. Cherry Hills, in Denver, and the beautiful Broadmoor, in Colorado Springs, offer serious golf history: Arnold Palmer famously made up a seven-stroke deficit to win the 1960 U.S. Open at Cherry Hills, and at the 1995 U.S. Women's Open at the Broadmoor, Annika Sorenstam won her first of 10 major titles. Denver's public courses offer some of the nation's best values. The Empire State blends a rich mix of members-only tournament gems (Oak Hill, Winged Foot, National Golf Links, Shinnecock Hills) with public-access standouts like Bethpage Black and newcomer Trump Ferry Point. It also breeds rabid (and rowdy) golf fans, as evidenced by the two "People's Opens" at Bethpage. Speaking of Opens, the Empire State has played host to more of our national championships (18) than any other state. And a Ryder Cup is coming in 2024 to—you guessed it—Bethpage. Hold on to your beer cups. Chicago Golf Club was one of the five founding members of the USGA, in 1894, and the state of Illinois has been considered golf royalty ever since. So many golfy images spring to mind: Mike Ditka and Michael Jordan teeing it up. Bill Murray caddying at Indian Hill. Just about every great player from Jones, Hogan and Palmer to Nicklaus, Woods and McIlroy winning Illinois-based U.S. Opens, PGA Championships, Western Opens, Ryder Cups and Walker Cups. Metro Chicago has the greatest collection of private and public courses of any city in the U.S. Elsewhere, Top 100 public courses in Galena and Peoria, plus a PGA Tour event in the Quad Cities (the John Deere Classic), make the entire state a golf mecca. Pinehurst is known as the Home of American golf, and for good reason. Golfers have been spending vacations there since the 1890s, and it became the laboratory of architect Donald Ross, who built more than 40 courses in the Sandhills and elsewhere in the Tar Heel State. Charlotte, Greensboro, Asheville, Raleigh-Durham and the Grand Strand border towns north of Myrtle Beach offer a remarkable menu of golf options. Quail Hollow Club, the Charlotte host of the Wells Fargo Championship, is a favorite among the pros. So much so that it landed a major, the 2017 PGA Championship. The Ohio State-Michigan rivalry is alive and well, as both states battle for golfiest bragging rights. Michigan scored high in every category. It has the fourth-highest course tally in the U.S., many of them stellar tests in the northern part of the state, which earned it the nickname, "America's Summer Golf Capital." Multiple majors and a Ryder Cup at Detroit's Oakland Hills push up the Legacy numbers. And the U.P. (Upper Peninsula), home to superb tracks like Sweetgrass, Greywalls and TimberStone, is one of America's most underrated golf destinations. It has the shortest playing season among the states in our top five, but Ohio soars with its top-six Household Participation rate, its enviable array of parkland Top 100 tracks, and for spawning the greatest golfer of them all, Jack Nicklaus. The Golden Bear grew up here, starred for Ohio State and established the prestigious Memorial Tournament at the state's best course, Muirfield Village (yep, a Nicklaus design). Add Firestone's rich PGA Tour history and Tiger Woods's incredible success there (eight wins!) and the Buckeye State is worthy of its lofty ranking. Myrtle Beach, S.C., the supermarket of golf, invented—and perfected—the golf package. Today the Grand Strand boasts more than 100 public-access courses, with nearly every top-name modern architect having left his imprint. LPGA Hall of Famer Beth Daniel honed her game in Charleston, a golf-mad city that played host to one of history's most memorable Ryder Cups, the 1991 "War By the Shore" at The Ocean Course at Kiawah Island Resort. The Ocean Course also staged one of the most dominating performances in a major, when Rory McIlroy blitzed the field at the 2012 PGA to win by eight. Near the state's southern border is Hilton Head Island, where Harbour Town and its candy cane-striped lighthouse have entertained the Tour since 1969. A dozen other solid public tracks and a bevy of private beauties make Hilton Head one of the elite golf destinations. Greenville, S.C., is home to Jay and Bill Haas and also 2009 U.S. Open champion Lucas Glover. With 916 courses, the Golden State trails only Florida in total number of tracks and blows away every state with a whopping 20 Top 100 designs—one-fifth of our list! (Tops among them, at No. 2, is glorious Cypress Point.) With public-access U.S. Open tracks such as Pebble Beach and Torrey Pines, plus all the history at fabled spreads like Riviera and the Olympic Club, California has something for all golfers. Oh, and this achievement gets big bonus points: Tiger Woods (L.A. area) and Phil Mickelson (San Diego area) were both born and raised in Cally. "Yes, but it's a dry heat." The Southwest's answer to Florida boasts seven courses ranked in our Top 100 You Can Play. It also offers a blend of golf-oriented active and retired lifestyles; the Waste Management Phoenix Open, the best-attended golf tournament in the world; college programs that have produced the likes of Phil Mickelson and Annika Sorenstam; and a setting for golf—mountains and cactus—that's utterly unique. Those PGA Tour pros who don't reside in Florida often land in Scottsdale.